Where are the Cherokee in my Family Tree? Welcome to my Genealogy Page. I started this page in hopes of finding my direct Cherokee ancestor. I add more information as I get it. Currently I am working on the lines of Margaret T. Ward, Nancy Emma Smith and Fanny Means as the source of my direct Cherokee relations. These three women are on my Bozarth line. Please follow the Bozarth link above if you are interested in the history of the first white settlers to Kentucky. I have also focused on my Irish and Scotish lines because there was a lot of intermarriage between the early Scotish and Irish settlers and the Cherokee. Something about them all having clan systems. As you can see most of my family has been in America for a long time. I am thirteenth generation American Emerson, tenth generation American Bozarth and eight generation American Vedder. My newest family to this country is the Lieseke family, I am fourth generation American Lieseke. The early settlers and the ndns had a lot of fights and the stories are gruesome. There was a lot of violence on both sides but it makes me sick to think about what the Europeans did and continue to do to the Native Americans. My famous relatives that I have confirmed include Hannah Duston (Father's side) and Elizabeth Bozarth (mother's side). They are both famous for fighting and killing ndns. The artist's Elihu Vedder and Simon Vedder (father's side) are my distant cousins. I am also related to the childless Dr. Vedder who was one of the founders of the AMA. I have also heard but not confirmed that I am related to "Mary Queen of Scot's" and Daniel Boone from my Davidson line from my mother's father's side. I have a picture of a Davidson family bible that is over 100 years old. I believe I am related to Eddie Vedder of Pearl Jam because he is also a Vedder from Holland and Eddie or Edwin are family names. I may never find my native american. Many of them hid and still do hide their native blood due in order to avoid death or worse. But I am glad I am doing this because I have learned a lot. So far I know I am Dutch (Vedder), German (Jewish??) (Lieseke), Irish (Rigney), French (Bozarth and De Moss), Swedish (Lycan), Scottish (Mullican and Davidson) and English (too many English bastards to mention) and probably Cherokee (Ward and Smith). To see the rest of it please go to my Family Tree Maker Siteand Search on the surname you are interested in. You will see some historical facts on some of my relations there. 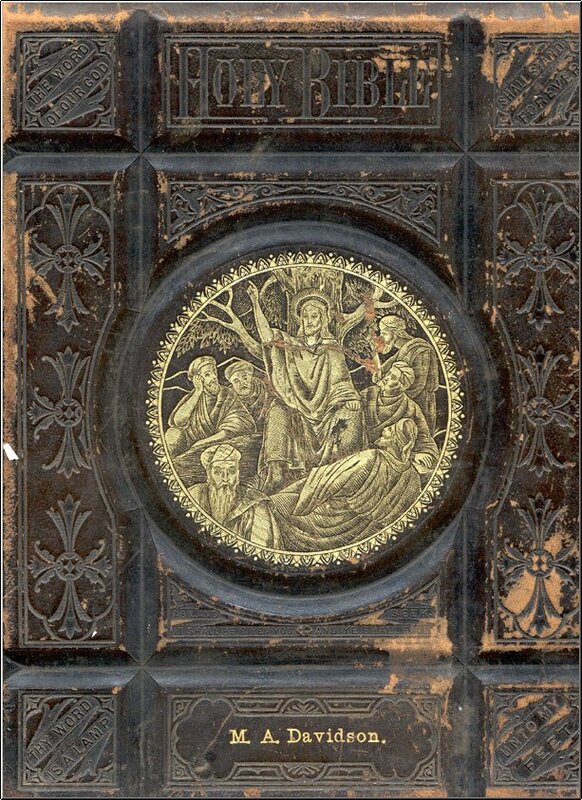 Since the Huguenots of France were in large part artisans, craftsmen, and professional people, they were ususally well-received in the countries to which they fled for refuge when religious discrimination or overt persecution caused them to leave France. Most of them went initially to Germany, the Netherlands, and England, although some found their way eventually to places as remote as South Africa. Considerable numbers of Huguenots migrated to British North America, especially to the Carolinas, Virginia, Pennsylvania, and New York. Their character and talents in the arts, sciences, and industry were such that they are generally felt to have been a substantial loss to the French society from which they had been forced to withdraw, and a corresponding gain to the communities and nations into which they settled. 1. Gean (John) *1 Bossard/Bossart was born Abt. 1660 in Alsace/Lorraine, France, and died Unknown. or France) She died Unknown. + 3 ii. Simon * Bozorth, born 1690 in Poss. Alsace/Lorraine, France; died February 19, 1753 in Evesham, Burlington County, New Jersey. Mary Mason/Marson Abt. 1712, daughter of John Mason/Marson. She was born Abt. 1694, and died Abt. 1749.
" Simon (Creaux) BOZORTH was born about 1690 in near Strasbourg, Alsace, France. He died about 1749 in Burlington County, New Jersey. Came from France in 1707 and settled in Quebec. Moved to Greene county Pennsylvania when it was part of New France and lived amongst the Indians as the French Commissioner. His wife may have been an Indian woman and the children that are listed are hers. This is unknown." If this were true it would make me a whopping 1/256th Cherokee but I bet there is more down the line. i. Thomas3 Bozorth, born Abt. 1713 in Burlington County, New Jersey; died Unknown. ii. John * (Jersey) Bozorth, born 1714 in Burlington County, New Jersey; died September 21, 1760 in Nelson County, Kentucky. iii. Elizabeth Bozorth, born Abt. 1715; died Unknown. She married John Springer September 24, 1733 in Burlington County, New Jersey; died Unknown. iv. Mary Bozorth, born 1722 in Burlington County, New Jersey; died Unknown. She married Richard Langman April 24, 1741 in Burlington County, New Jersey; died Unknown. 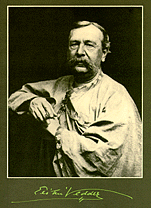 v. Samuel Bozorth, born Abt. 1727 in Burlington County, New Jersey; died Abt. 1804.
vi. Bathsheba Bozorth, born Abt. 1728 in Burlington County, New Jersey; died Unknown. She married Thomas Simons January 08, 1745/46 in Burlington County, New Jersey; died Unknown. vii. Andrew Bozorth, born October 19, 1732 in Burlington County, New Jersey; died February 10, 1812 in Philadelphia, Pennsylvania. viii. Experience Bozorth, born 1735 in Burlington County, New Jersey; died Unknown. She married Thomas Connor May 22, 1753 in Burlington County, New Jersey; died Unknown. ix. Zebulon Bozorth, born Abt. 1748 in Burlington County, New Jersey; died Aft. 1779. Innocent Borden July 13, 1734, daughter of James Borden and Mary ???. She was born 1716, and died Aft. 1761.
i Joseph *4 Bozarth, born 1740 in Burlington County, New Jersey; died May 25, 1790 in Nelson County, Virginia or Kentucky. ii. John (Indian) Bozarth, born 1743 in Probably NJ or Monongalia Co., Va.; died 1832 in Virginia. iii. Louisa Bozarth, born September 04, 1747 in Greene County, Pennsylvania; died Unknown. Notes for Louisa Bozarth: Said to be the first white child born in Monongalia County, Virginia Sept. 4, 1747.
iv. Jonathan Bozorth, born December 13, 1754 in South Ten Mile Creek, Virginia; died September 14, 1830 in Grayson County, Kentucky. Elizabeth ??? Abt. 1758 in Monongalia County, Virginia. She was born Bet. 1737 - 1739, and died March 08, 1828.
i. James Bozarth, born Abt. 1759; died Unknown. ii. Elizabeth Bozarth, born Abt. 1760 in Mohongalia Conunty, Virginia; died March 08, 1828 in Howard County, Missouri. iii. John (Sheriff) Bozarth, born 1761 in Frederick Conunty, Virginia; died 1836 in Lewis Country, Missouri. iv. David Bozarth, born 1763 in Mohongalia Conunty, Virginia; died February 21, 1843 in Howard County, Missouri. v. Joseph Jr Bozarth, born 1765 in Mohongalia Conunty, Virginia; died November 22, 1832 in Howard County, Missouri. vi. Rhoda Bozarth, born Abt. 1767 in Mohongalia Conunty, Virginia; died Unknown. She married Richard Brady April 14, 1792 in Nelson Country, Kentucky; died Unknown. vii. Major William Bozarth, born 1769 in Mohongalia Conunty, Virginia; died 1861 in Howard County, Missouri. He married Lydia ??? Abt. 1798; died Unknown. viii. Abner Bozarth 5*, born February 20, 1772 in Mohongalia Conunty, Virginia; died February 13, 1818 in Christian County, Kentucky. ix. Levi Bozarth, born 1775 in Mohongalia Conunty, Virginia; died December 07, 1840 in DeKalb County, Tennesse. x. Mehetable Hetty Bozarth, born Abt. 1777; died Abt. 1803. She married Edward Wells February 09, 1802 in Hardin Co., Kentucky; died Unknown. xi. Jonathan Bozarth, born February 20, 1780 in Mohongalia Conunty, Virginia; died May 16, 1854 in Howard County, Missouri. xii. Rebecca Bozarth, born Abt. 1784 in Mohongalia Conunty, Virginia; died Abt. 1830 in Schuvler Country, Illinois. xiii. Israel Bozarth, born 1785 in Nelson County, Virginia, District of Kentucky; died 1859 in Probably New Madrid County, Missouri. Finas Bozarth, born 1818 in Illinois; died 1885 in Elba, Illinois. Gallatin Co., Il. he married Eunice Lyle (Female) Bozarth b. 1819? Pope Co., Il. Does this mean that Finis married a Cherokee woman? Does this mean that Edith Guetrude Scott was Cherokee? Does this mean that all of their children and descendents have Cherokee blood? Does this just mean that Maude was adopted? LIzzie Bozarth ABT Jul 1891-??? m John Walter Chambers ??? This is also not in my direct line and does not add to my Cherokee blood. Fanny Means September 18, 1796 in Hardin County, Kentucky, daughter of William Means. She was born January 25, 1777 in Virginia, and died January 06, 1847 in Henry County, Missouri. i Joseph S. Bozarth, born October 20, 1797 in Harden or Christian County, Kentucky; died August 28, 1832 in Howard County, Missouri. He married Permelia ??? ; died Unknown. ii. Mary (Jane) Bozarth, born May 08, 1799 in Christian County, Kentucky; died August 16, 1813.
iii. Frances (Fanny) Bozarth, born August 16, 1802 in Christian County, Kentucky; died Unknown in Howard County, Missouri. She married Levi Cornelius August 15, 1822 in Howard County, Missouri; died Unknown. iv. John Douglas Bozarth*6, born May 08, 1804 in Christian County, Kentucky; died February 25, 1884 in Paris, Edgar County, Illinois. v. James Bozarth, born April 28, 1806 in Christian County, Kentucky; died August 22, 1824.
vi. Abner Jr. Bozarth, born April 10, 1808 in Christian County, Kentucky; died January 17, 1830 in Christian County, Kentucky. vii. Elizabeth Bozarth, born June 21, 1810 in Christian County, Kentucky; died September 10, 1885. She married Reuben Myrtle May 29, 1826 in Howard County, Missouri; died Unknown. viii. William M. Bozarth, born May 28, 1812 in Christian County, Kentucky; died November 11, 1900 in Washington County, Arkansas. ix. Samuel Bozarth, born August 07, 1815 in Christian County, Kentucky; died June 15, 1822 in Christian County, Kentucky. x. Jonathon J. Bozarth, born April 03, 1818 in Christian County, Kentucky; died December 09, 1890 in Greensburg, Knox County, Missouri. John Douglas6 Bozarth (Abner5, Joseph *4, John * (Jersey)3 Bozorth, Simon *2, Gean (John) *1 Bossard/Bossart) was born May 08, 1804 in Christian County, Kentucky, and died February 25, 1884 in Paris, Edgar County, Illinois. (2) Margaret Pinson June 21, 1859 in Vermillion, Indiana. She died Unknown. i Elijah Ward7 Bozarth, born March 15, 1829 in White County, Tennessee; died August 09, 1912 in Atehison,Shawnee County, Kansas. ii. Jonathan Abner Bozarth, born December 05, 1830 in Edgar County, Illinois; died October 12, 1905.
iii. Elizabeth J. Bozarth *7, born May 15, 1833 in Edgar County, Illinois; died Unknown. iv. Mary Ann Bozarth, born February 05, 1835 in Edgar County, Illinois; died Unknown. v. James M. Bozarth, born November 11, 1837 in Edgar County, Illinois; died August 12, 1888.
vi. William Anderson Bozarth, born April 12, 1840 in Edgar County, Illinois; died August 29, 1840 in Edgar County, Illinois. vii. Francis Harriet Bozarth, born January 24, 1843 in Edgar County, Illinois; died January 23, 1897.
viii. Boy Bozarth, born July 14, 1846 in Edgar County, Illinois; died July 25, 1846 in Edgar County, Illinois. ix. Girl Bozarth, born July 14, 1846 in Edgar County, Illinois; died July 29, 1846 in Edgar County, Illinois. x. Laurany Lurany Bozarth, born December 22, 1847 in Edgar County, Illinois; died August 04, 1848. 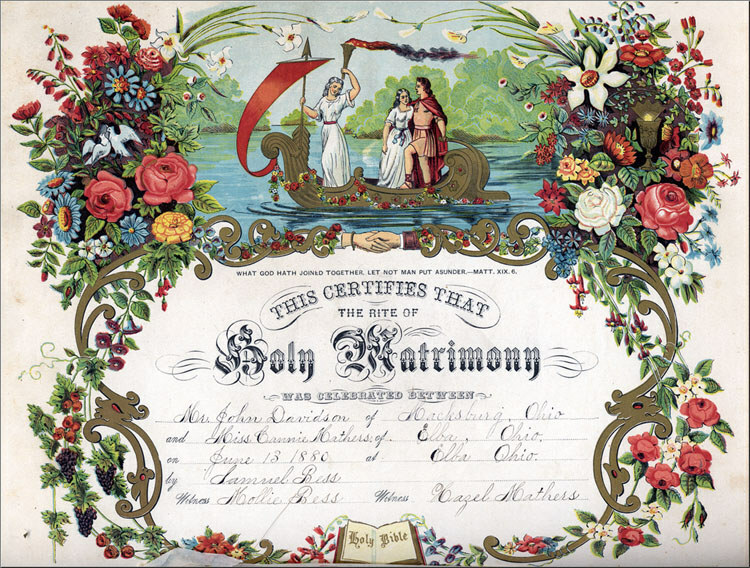 Illinois Marriage Index on 9 Feb 1854, license SA2167. Emma Smith Rumored to be Full Cherokee by Living who's source is Geneva Austin (Grace Rigney's Older Sister) but Grace Rigney Lieseke does not believe this to be true. I just aquired Nancy Smith's death certificate and unfortunatetly did not learn much from it. I did learn that her mother's maiden name was Horn so maybe that will help. Her death certificate says she was white and was born inIllinois. 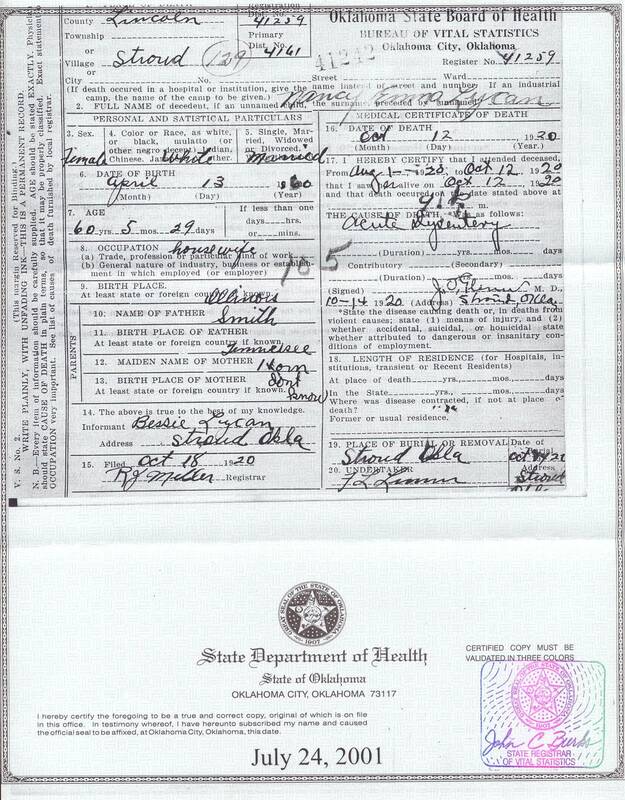 I need to find out where another family member got the information that she was born in Oklahoma. In the year 1672 Harmen Albertse Vedder, a Dutch pioneer, made his way up the Mohawk Valley looking for a place to build his 'hofstede'. He found it in the form of a very pleasant knoll well elevated above the flood plain of the Mohawk River and bounded on the north and west by a winding stream, later to be called "Tippecanoe". Available evidence indicates that Haremn Albertse Vedder may have come to this country before 1657 and as early as 1633. In 1657, he sold his lot in Albany to Rutger Jacobsen for 1,325 guilders. Harmen came from Holland and was a trader. He owned land at Schenectady, New York and several home lots in Albany, New York. At that time Albany was referred to as Bererwyck. He was a magistrate of Schenectady in 1673. He was first listed in Albany records as one of three commissioners at Schenectady in 1657. According to the book The Vedder Family in America by Edwin Henry Vedder and the following material supplied by the Greene County, Illinois Historical Society (submitted by Mary Vedder Butler), Harmen may have come to America before 1657 and as early as 1633. In 1657 records indicate he sold his house and lot in Albany, New York to Rutger Jacobsen. Harmen returned to Holland at least twice, once in 1660 and later in 1668. Other records according to Edwin Vedder's book show Albertse in 1661 was an agent for Dirk De Wolfe, merchant of Amsterdam. In 1663 he leased his farm at Schenectady to Symon Groot for 500 guilders rent for a period of six years. It should be pointed out here that Symon Groot's great-grand son married Neeltje Vedder who was Harmen Albertse's great-grand daughter. Arent Vedder, Son of Harmen married Sara Groot who was the daughter of Symon Groot. The Groot's and Vedders have quite a connection during the early days in America. On April 17, 1664 Harmen Vedder along with two of his neighbors petitioned for a surveyor to lay out each persons land and building lots to prevent further disputes in the settlement called Schanhegtede. In October 1664 Harmen Vedder along with other Dutch settlers took a oath of obedience to the King of England and the Duke of York. This followed the surrender of New Amsterdam to the English. As stated earlier, Harmen returned to Holland in 1668. This was with other merchants from New York. In Holland they purchased goods and chartered the ship "The King Charles" for the return trip. In 1672 a farm was purchased from Dirk Hesselingh. The 26 acres was to be delivered May 1, 1773 with seed in the ground. This farm was just out side of Schenectady. An additional land deal in 1672 Harmen and Barent Ryndertson sold property to Claaese Van Vranken over the river in Canastagione for 550 skiples of wheat. Harmen was busy in 1672 as he also made his way up the Mohawk Valley looking for a place to build his new home. He found a knoll, well elevated above the flood plain of the Mohawk River. Here he constructed a two story brick home with a fireplace and oven. According to an article in the Schenectady Gazette Newspaper dated June 14, 1962 the house faced West and a barn was East of the house. A family cemetery was located on the grounds where family members, Iroquois and others are buried. On February 8, 1673, Harmen paid the Reformed Church of Albany 12 guilders for a pall (casket) for his wife. He must of remarried because of later children. No record has yet been found on the names of either wife. A letter from Governor Antony Colve written in January 1674 to the magistrates of Schenectada. Part of the letter dealt with Harmen Vedder. Later the evil Shulers stole land from the Lycan's and the Cherokee ndns. The Shulers are still making trouble for Harmens descendents to this day. Harmen had several sons which all apparently settled in the Schenectady area. Arent Vedder married Sarah Groot, Harmanus Vedder Jr. married Margrieta Van Slyck, Albert Vedder married Maria Glenn, Johannes Vedder married Maria Fort. Harmon Vedder was one of the 15 original founders of Schenectady, New York. released. He is my direct ancestor. They strucke the Cruel Blow. Had sought and found their reste. By six or seven Men. With many a bleeding corse. The Mis'ries of that Night. Tho' Aged or tho' Fair. It did not much avail. More than a Thousand Men. As was our true Dutye. They took scarce One alive. THE FOLLOWING ARE THE NAMES OF THOSE KILLED AND TAKEN CAPTIVE ON THAT NIGHT. Shaets and son, Johannes son of Symon Schermerhoorn. returned to the valley from one to seven years captivity. The brothers Michael and Peter Lycon who were both born in Varmland Sweden were among the first Swedish settlers in the New Sweden Colony at Shackamaxon. They arrived in the Philadelphia area between 1650 and 1655. Later the colony was taken over by the evil Pennsylvania Dutch. (By the way the Pennsylvania Dutch are not even Dutch. They just wish they were.) My Dutch Vedder Ancestors were from Holland. But those troublesome Shulers follow us every where and steal our land. It is known that the evil Shulers moved into Cherokee lands after the forced removal of the Cherokee and it is known that they were in a land dispute with Harmon Vedder and tried to steal his land. But that was not enough for them, they also had to steal land from my Swedish ancestors. The Shulers idea of a good time is to go find the wisest most beautiful and sacred oak tree in the Smokey Mountians forest and then murder it. They must know that oak trees are sacred to the ann-ee yun-wee-ya. Check out the Lykins Family Website to learn much more about the LYKINS-LYKENS-LIKENS-LIKINS-LYCAN LYCON-LYKINGS-LAICANS. Here is a picture of what of what may have been the lycan family farm in Sweden? 2 Jacob Gooden Lycan , Jr.
Jacob Gooden Lycan , Jr. This family had bonded with the Clan Chattan in the early part of the 14th century when Donald, the 3rd son of Robert Comyn murdered by Robert the Bruce at Dumfries, married Slane Mackintosh, daughter of the 6th Mackintosh Chief. David is recorded as being Slanes son and his family and their followers were known as Clan Dhai, as the name of Comyn was prescribed around 1320. The Davidson's, or Clan Dhai, are recorded as being virtually wiped out as a fighting force at the Battle of Invernahaven in 1370. At Invernahaven the Mackintoshes, along with their Clan Chattan supporters, the Davidsons and the Macphersons, gathered to oppose a strong force of Camerons who had marched into Badenoch intent on slaughter and plunder. A dispute arose between the Davidsons and the Macphersons concerning the right to command and when the Mackintoshes supported the the Davidsons claims the Macphersons, considering themselves insulted, left the field. The Camerons exploited their enemies confusion, and in the ensuing battle the Davidsons seem to have been virtually destroyed. Before the 14th century the name is well recorded in the east and north-east towns of Perth, Dundee and Aberdeen. The best recorded is the alderman and customar of Aberdeen, Sir Robert, named variously as Davisoun and David Filius in civic records of the day. In 1411, he led a contingent from the burgh to fight at the Battle of Harlaw, where he was killed. He was a friend of the Earl of Mar, a son of the Wolf of Badenoch, and some evidence suggests the possibility that Robert could have been a son or grandson of the 1st Comyn, David. By the 16th century the name could be found from Aberdeen in the north to Ayr in the south. There was afamily of Davidsons at Samuelston in the Borders, and references can be found along with Elliots, Robsons and Turnbulls, as wild and unruly families in the debatable lands. Henry, 1st Laird of Tulloch, became a merchant in London and was succeded by his brother, Duncan, who became a Member of Parliament. He was a great favorite of Queen Victoria, whom he used to visit during her stays at Balmoral. He was her Lord Lieutenant of Ross-shire. Tulloch Castle was extensively restored in 1922 by the renowned architect Sir Robert Lorimer, but the castle and estates have since been sold. However, it still stands as a focal point for Davidson traditions, along with other relics such as the suit of armour of the Provost of Aberdeen killed at Harlaw, which is still preserved by the City Council. A direct descendent of the Davidsons of Tulloch, now living in New Zealand, is seeking to matriculate arms in the Court of the Lord Lyon and claim chiefship.